Did you know outside the golden gates of your all inclusive luxury resort resides a whole other world of it’s own. This year consider giving back to this neighboring community with simple and inexpensive ideas that will be appreciated more than you can imagine. Carry on bags fly free so instead of packing just for yourself fill them with supplies that could bless those who live where you will vacation.Gather coloring books and crayons from the dollar store school supplies or even simple hygiene products are inexpensive and synonymous across cultures. You can deliver these yourself to the schools or community or ask your maid if she could pass them on for you. Another fun way to pack for a purpose is packing out grown kid clothes. Instead of dropping these off at drop boxes around town gather them up and deliver them to a family in need. They won’t care if it’s not their color or their sports team they will simply be grateful to have something new. “As they say one mans trash is another mans treasure”. Do you end up buying a new wardrobe for vacation? If so why not pack last years vacation wardrobe and wear it one last time literally. Although dramatic this idea not only reduces clutter in your closet at the same time it fills someone elses closet and you can fly home with a suitcase full of local treasures verses dirty laundry. Accommodations: The accommodations are larger offering Serta sleeper beds and the most delicious pillows you ever set your head on. The luxurious in room toiletries, branded Red Lane Spa, and the soft robes and slippers go hand in hand like chocolate and Blue Mountain coffee, which you will also find in your room and brewed throughout the resort. Food: With as many as 19 restaurants to chose from per resort, the only question will be, "what's for dinner?". The Signature Discovery Dining program allows you to dine around the world quite literally. Sandals employs an Executive Chef who is native for that cuisine. For example, if you are craving true Thai food, rest assured, Apple straight from Thailand, will have trained the cooks how to prepare authentic entrees and all at no additional charge. My personal favorite is Febrezio, Executive Chef at Marios in La Toc. Not only is he a handsome young gent from Italy, he's a heck of a chef as well! Beverages: They say at Sandals, "Jimmy, Johnny, Jack and all their friends are here!" Wine lover? Beringer flows 24/7. Prefer the nonalcoholic approach? Here you will find the freshest smoothies, juices and even a self serve unlimited ice cream station. My favorite part about Sandals & Beaches is the simple fact that they all are located in regions where water is at it's purist right from the tap! Prefer a bottle, no worries, it's all included. Water sports: Did you know that some resorts offer water sports such as SCUBA diving but actually charge for it? Others even charge a fee to rescue you! The highly trained staff not only will show you how to use the equipment properly, they will also keep an eye on you to be sure you are fully enjoying yourself and won't need to be rescued. As far as SCUBA diving goes, they own their own Newton Dive boats, the best in the industry, and offer you up to two dives daily. This isn't only for the big fish either, small fish as young as 8 years old can partake as well. Water slides or lazy rivers more your style? They have those too. Snorkel, paddle board, waterskiing, Hobie Cats and more are also all a part of the all inclusive package price. After traveling thousands of miles and standing in lines for hours this past year, I have finally had the opportunity to use my Global Entry pass! While not beneficial for domestic travel, it can virtually eliminate any fears you may have of Customs agents, long lines and ultimately, missed connections! At only $20 a year it's the best investment I've made when it comes to travel (aside from my ZAGG keyboard which allows me to continue talking even at 10,000 feet!) Today I deplaned in San Juan and when I went through Customs, there was my entire flight in line waiting while I sauntered to the Global Entry line in true diva style! There was no one else there which meant no waiting; I was through customs in under five minutes! Compare that to Miami last March where I spent almost three hours waiting in line! Next stop: TSA. You know what they say , "You can't see London, you can't see France until TSA sees your underpants!!" Well, one of the benefits of being a trusted traveler is to have a bright green check mark on the top of your boarding pass that signifies you are a goody two shoes. With this stamp of approval, you get a designated TSA security line which again, I had all to myself. This not only made it more comfortable, but I also didn't have to completely disrobe or go through the "pat down" process. The only offense was to have my hands swabbed. Within 30 seconds the machine told the agent I was clean, so off I went into the sunset of Concorse A to board my oversold flight! Do you have Global Entry? What are you waiting for? If you have it, what do you like most about it? Affordable Did you know the average wedding cost $29,858 according to CNN Money. Compare that to the average Destination Wedding at $8k overseas! Cha-Ching! (Searching for that down payment on your mortgage? I just found it for you! You’re welcome.) Those couples who are on a tight budget and considering keeping the celebration low key to keep costs down should seriously consider a Destination Wedding! With all the inclusions that come along with a six night stay or longer at most resorts, it’s really a no brainer. Brides love how they can totally customize their wedding yet still be budget friendly. Simple The simplicity of planning a Destination Wedding is rarely spoken about. I get the feeling it’s some sort of rite of passage – if you didn't pour your heart & soul into planning every single detail of your big day, you’re really not in love. Poo Poo. Imagine having your own personal Pre-Wedding Travel Planner who is working behind the scenes to ensure your day is perfect before you even arrive. Then, once you are in destination you then are introduced to your in house Wedding Concierge. Did I mention there is no cost for this? That’s right; it’s all included at most resorts, especially here. I once had a bride who said she felt bad because she didn't get stressed out about the details like her sister and other friends had before her. The difference? She had a Destination Wedding and all the details were taken care of her! Unique Have you ever looked through the local marriage announcements or even the wedding magazine and seen the same scenery over and over, just a different couple featured? Not to downplay or insult the gorgeous venues we have locally, but there comes a time where you just may want to go where others have not gone before you. A Destination Wedding accomplishes this! Imagine instead of a dollar dance at the reception you have a fire dancer instead. Want to forgo the unity candle and do a sand ceremony instead? It makes more sense to do this on a beach than in the church. Working closely with your travel agent and PreWedding Travel Planner will ensure your wildest dreams are fulfilled and your style is highlighted throughout your wedding. Crowd Control There is no better way to ensure crowd control like flying halfway across the country or world to say “I Do”. Many couples cringe at the idea of having to trim a guest list. Instead, invite them all and let the guests decide to stay or go. The average group is 40, however, we've planned over 100 and we did it seamlessly. Those who decide to forego the wedding will certainly be at the reception you hold post nuptials and you can always play the video there. Memorable Let’s be brutally honest, shall we? Tell me what you remembered from all the weddings you've attended in the past? Hot stuffy church, bad weather, temperamental flower girl, Uncle Joe sneaking vodka all day; oh wait, that was MY wedding. Just kidding, but we have been to *that wedding, right? My point is, what was so memorable? And really, are these memories you want YOUR guests to have, let alone you? Let's remember the fact you rented the entire private island for your guests only or the sail away catamaran cruise the day after! If you want amazing memories, it starts with an amazing plan. Ready to take the next step? Click here to get started planning your Happily Ever After, you’ll be glad you did! There are probably several Hidden Mickeys between this point and Cinderella Castle. 1. When dining at the Be Our Guest restaurant, you can remember one of Lumiere’s lines and order “the gray stuff” for dessert – it really is delicious! 2. Opening times listed for the parks aren't always exactly accurate – guests are often let through the gates as early as 15 minutes beforehand. All the more reason to get there early! 3. There are no lost children at Disney – instead, you’ll hear about lost parents. Calling a scared kid “lost” just makes them more afraid they’ll be in trouble, so Cast Members shift the “blame” to the parents. 4. Cinderella Castle is an impressive 180 feet tall – Walt wanted it big so any guests who got lost could easily find their way back to a central location. Thanks to a clever trick called “forced perspective,” it looks like it’s a whopping 300 feet! 5. The reverse is true in Epcot – the large building in the U.S. pavilion, the American Adventure, is actually five stories tall, but reverse forced perspective makes it look only three. If it were as short as it looks, you’d never be able to see it from across the lagoon. Want to check? Send the tallest member of your group to stand next to the doors – they’ll still be dwarfed in comparison. 6. Also in Epcot, when you’re standing in front of the Mexican pavilion, take a look at Morocco across the lagoon. There’s one building behind the others that appears to blend in seamlessly, but is actually the top of the Tower of Terror – in a completely different park! During its construction, Imagineers realized the Tower would be visible from Epcot, so they intentionally camouflaged it. 7. Walt originally intended for Epcot to be a functioning community, where new city planning concepts could be tried out. After his death, it became a park instead, but the plan lives on in its name, which stands for Experimental Prototype Community Of Tomorrow. 8. Speaking of Walt, if you've seen Saving Mr. Banks, you know he wanted everyone working for him to go by their first names – that’s why all Cast Member name tags have just a first name on them – not even a last initial. 9. 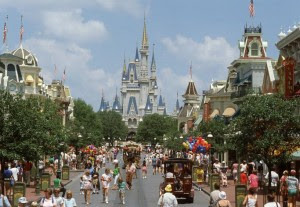 Walt Disney World is the second largest purchaser of explosives in the United States – only the U.S. military comes in ahead of them. 11. 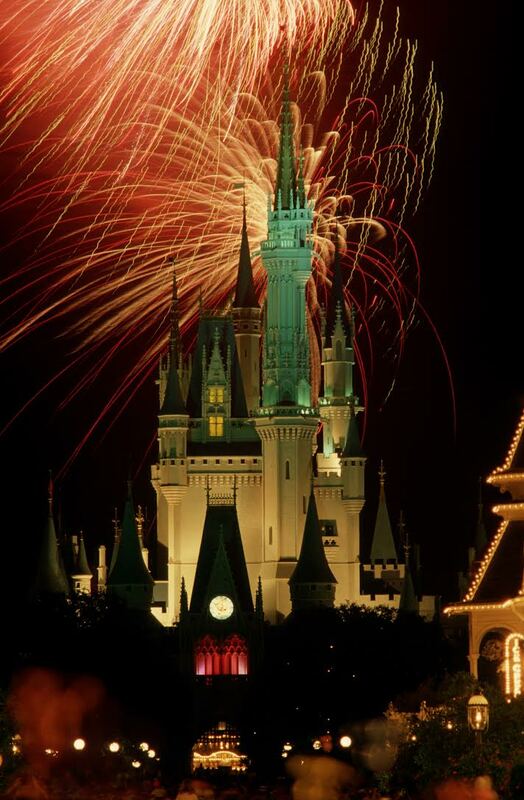 It would take you 68 years to spend one night in each hotel room in Disney World. 13. Ever noticed a lot of gum stuck around the parks? No? Oh yeah, that’s because they don’t sell it on property, in order to keep the parks clean. They’re crafty that way. 14. There are a lot of garbage cans at Disney – you can find them as frequently as every 30 steps. There are two stories about this. One is that Walt went to other parks and counted how long someone would hold on to garbage before just dropping it. Our preferred version is that he counted how many steps it took him to eat a hot dog and based it on that. 15. Any time you see a phone in the parks, pick it up and see what you hear – there are still a couple of functioning pay phones, but sometimes you can listen in on some interesting conversations! 16. Behind Cinderella Castle is a fountain with a statue of Cinderella. From adult height, she looks sad, but looking from the height of a child, she appears to be smiling and the crown on the wall behind her rests on top of her head. 17. 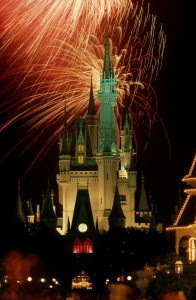 Stick around Magic Kingdom for about 30 minutes after the park closes for a special “Kiss Goodnight” from the castle – don’t worry, you won’t be breaking any rules. 18. In Epcot, some of the sidewalks twinkle at night – they’re easy to spot on the way out after the fireworks. 19. You can find Belle’s library in the French pavilion, along with a number of references to classic Disney stories. 20. If you feel like being a little mischievous, get someone in your party to sample the “Beverly” Coca-Cola flavor at Club Cool. All the flavors are free, so there won’t be any buyer’s remorse – though there could be some tasters’ regret! 21. 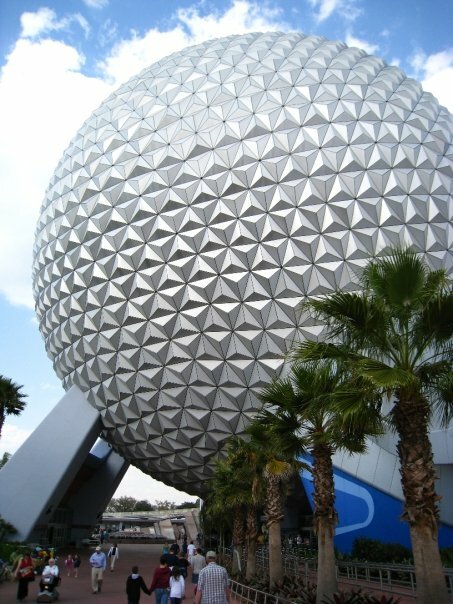 The aquarium at Epcot’s Living Seas Pavilion is so large that Spaceship Earth could fit inside it with room to spare. 22. After you get your glasses for Muppet Vision at Hollywood Studios, look for the sign that someone is “out to lunch – the key is under the mat.” Look down and you will indeed see a mat with a key under it! 24. On signs for Animal Kingdom, you can see a dragon among the animals on the bottom. It’s all that remains of early plans for a “Beastly Kingdom,” which would have represented mythical creatures. 25. The Yeti in Expedition Everest originally moved, but broke down early in the ride’s operation. It is now stationary, but strobe lights make it appear to move during the ride. 26. Animal Kingdom’s Tree of Life has approximately 320 animals carved into it, but the Chimpanzee was almost left out, until a visit from Jane Goodall prompted designers to add one. 28. There are three places in the United States where you can find an official presidential seal – the Oval Office, the hall of the Liberty Bell, and Magic Kingdom’s Hall of Presidents. 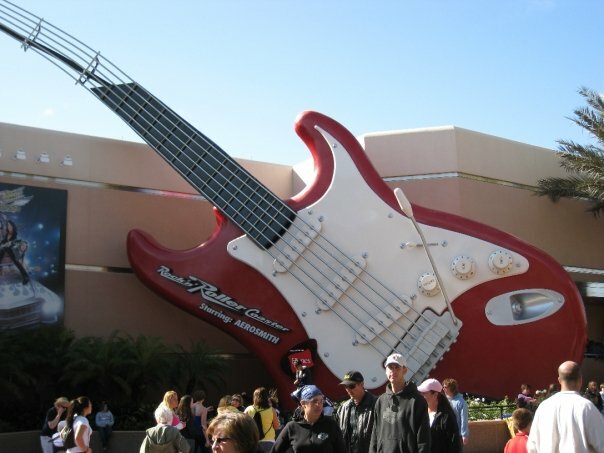 Walt Disney had to get special permission from Congress to put it there. 29. Disney bought a real plane to put in the Casablanca scene of the Great Movie Ride – only the first half is there, though! The rest of the plane is on the Jungle Cruise ride. 30. The lake that holds Fantasmic is only about a foot and a half deep. 31. No Cast Member will ever point out a direction with a single finger, as this is considered rude. 32. 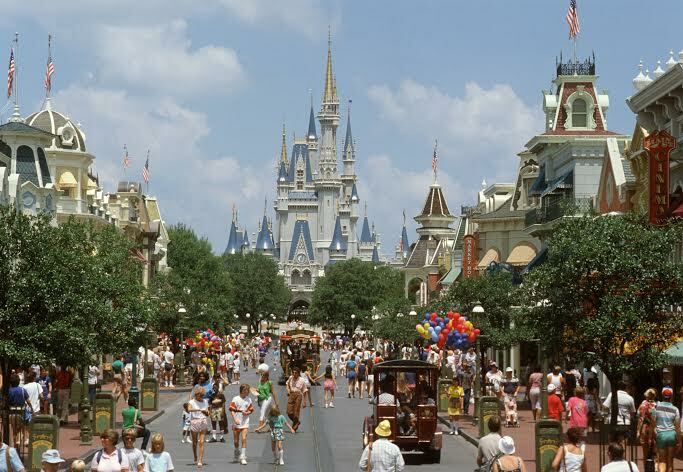 Disney World was evacuated in 30 minutes on Sept. 11, 2001, because of fears it could become a target. Dedicated Cast Members worked through the night to put up the Fourth of July decorations for the following day so the park could reopen with a feeling of solidarity and patriotism. 33. Don’t get too close to the camel outside Aladdin’s Magic Carpet ride, or you might get “spit” on! It seems random, but there’s a Cast Member nearby who takes the shots. 34. The Mission: SPACE ride at Epcot requires more computer power than the actual space shuttle – though notably less fuel. 35. While waiting in line for the Haunted Mansion, you may see a wedding ring embedded in the concrete. 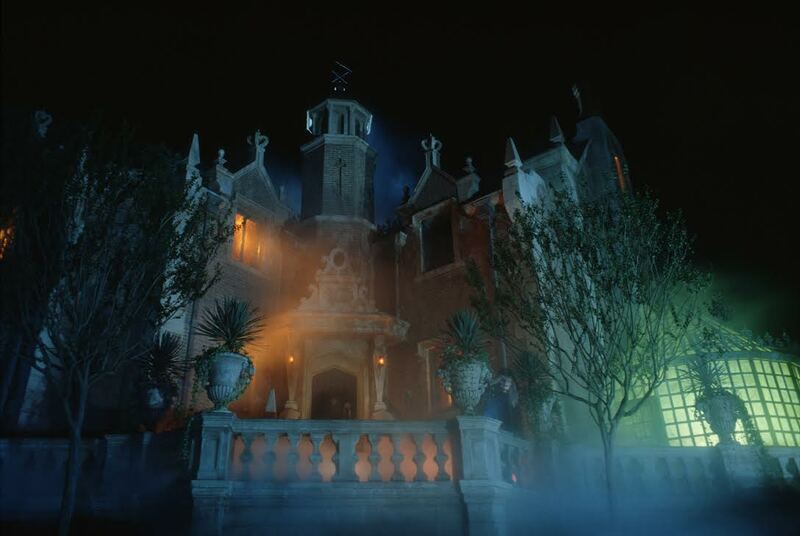 It’s said to belong to one of the ghosts inside – we think you’ll know her when you see her. 36. Don’t feel like buying a PhotoPass? No worries – the park photographers will take pictures with your personal camera or phone. 37. If you’re ever in line for the Indiana Jones Epic Stunt Spectacular and see a sign warning you not to pull or open something – go ahead and do it. 38. There are literally hundreds, if not thousands, of Hidden Mickeys throughout the parks – you know it, we know it, everyone knows it. But they've never been confirmed to exist, and there’s no way of knowing exactly how many there are. What’s your favorite Disney World secret?